The business dates back to 1875, when Joseph Bulova, established a business for the manufacturing of fine jewelry in the City of New York. In 1911, the business was incorporated under the laws of New York State, as the J. Bulova Company, with a capital of $50,000. Thereafter, the business of the Company became almost exclusively the manufacture and sale of fine watches. The capital was increased to $1,000,000 in 1923, and the present name of the Company was adopted, at which time the Company’s sales became exclusively that of fine jewelled watches. Bulova unveils the first full line of ladies' watches, including diamond-accented pieces. In the same year, President Calvin Coolidge presents a Bulova watch to Stanley "Bucky" Harris player-manager of the World Series-winning Washington Senators. Bulova designs a new watch in honor of the occasion and names it the "President." Bulova produces the nation's first radio commercial, "At the tone, it's 8 P.M., B-U-L-O-V-A, Bulova watch time." Arde Bulova, Joseph’s son, offers a prize of $1,000 to the pilot who first succeeds in a nonstop flight across the Atlantic. 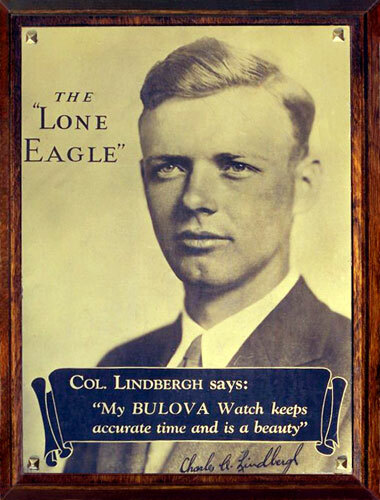 In honor of Charles Lindbergh's transatlantic solo flight from New York to Paris, Bulova ships 5,000 Lone Eagle watches, packaged with pictures of Lindbergh. The supply, which is available the day after the landing, is sold out within three days. During the next few years Bulova sells nearly 50,000 of these commemorative watches. Also in 1927, Bulova Watch Company goes public on the American Stock Exchange, and Bulova Canada is established. Continuing its tradition of advertising firsts, Bulova airs the first television commercial: a simple picture of a clock and a map of the United States, with a voice-over proclaiming, "America runs on Bulova time." The 20-second spot costs $9. 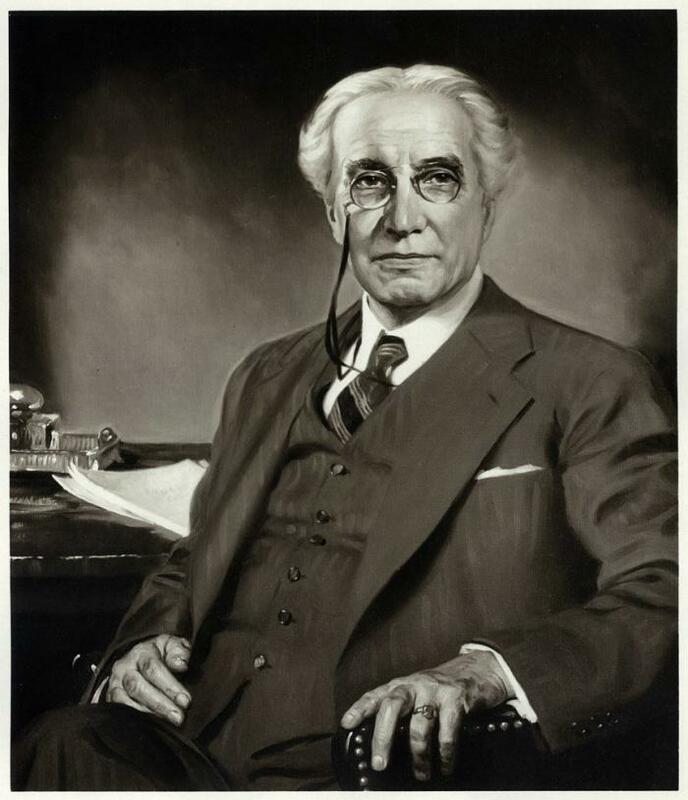 1941 also marks the year that the Bulova Board of Directors, chaired by Joseph’s son, Ardé Bulova, adopts a resolution to sell products for national defense at actual cost. Throughout World War II, having perfected the skill of creating precision timepieces, Bulova works with the U.S. government to produce military watches, specialized timepieces, aircraft instruments, critical torpedo mechanisms and fuses. Bulova completes negotiations to cosponsor the “Jackie Gleason Show" a one-hour live television show airing Saturday nights from eight to nine o'clock. This is the first time in history that any watch or jewelry-related company has made a sponsorship commitment of such magnitude. Three specially designed Accutron portable alarm clocks are placed on board NASA's Skylab, the world's first space laboratory, launched from Cape Kennedy. Also this year, Bulova wins the world's first design competition for solid-state digital watches at the Prix de la Ville de Genève watch-styling competition, the world's most prestigious international watch-styling competition. Bulova also wins two of the three honorable mentions awarded at the competition. Bulova runs a magazine ad campaign featuring Walter Cronkite, with the slogan “Good News from Bulova." The company also places national commercials on many television shows including All in the Family, Charlie’s Angels, Starsky and Hutch, The Dukes of Hazard and Hawaii 5-0. Bulova introduces the Millennia Collection, a group of watches featuring innovative technology or materials. The collection includes a solar group, watches powered by light; motion quartz, watches powered by the motion of the wearer's arm; and vibra-alarm, watches featuring two alarm mode options: sound or vibration. On October 4, Mayor Rudolph Giuliani proclaims Bulova Day in New York City, in recognition of Bulova’s 125th anniversary. Bulova acquires the Wittnauer trademark and some of the assets of Wittnauer International. Bulova also acquires the license for Harley-Davidson watches. Also, in 2001, Women’s Wear Daily’s Luxury Survey, which measures American women’s perception of the most luxurious apparel and accessory brands, ranked Bulova #14 in the watch and jewelry category. Bulova acquires certain assets of Heirloom, a custom woodworking company specializing in the manufacture of grandfather clocks. Operating as a Bulova subsidiary under the new name, Art of Time, Ltd., the Kitchener, Ontario-based facility begins producing high-quality, custom-made Bulova grandfather clocks for sale in the U.S., Canada and Mexico. Bulova also launches a comprehensive international operating strategy to enhance its global positioning while protecting the integrity of the Bulova name by reasserting control over development and marketing worldwide. A key component of the program is the opening of European headquarters in Fribourg, Switzerland, marking Bulova’s return to full proprietary operations in Europe after nearly a quarter of a century. Made in Switzerland, with product development at both Bulova Swiss, S.A. and Bulova’s home office in New York, the Bulova European Collection is set to begin distribution on January 1, 2003.